It's Baaaack! And guess what? It's now for TWO DAYS! Join us October 20 & 21st at Miami Marine Stadium. What better way to kick off Stone Crab season then to enjoy it by the sea with LIVE Caribbean beats, family fun zones, mojito bars, wine lounges, and more? 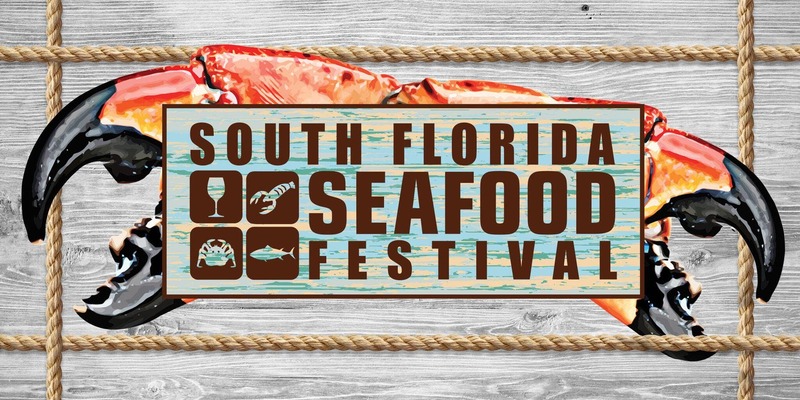 With over 25 gourmet seafood culinary partners this family-oriented event offers attendees the chance to experience some of the freshest seafood all afternoon in the largest fresh fish market in Florida. Featuring dishes like grilled fish, paella, gumbo, jambalaya, chowders, lobster rolls, sushi and even some Floridian favorites, the Coconut Grove Seafood Festival boasts a palate from all over the world. As you browse through vendors selling nautical-themed jewelry, art, and decorations, you can experience live beach-themed music or take the kids to the festival's family fun zone, including obstacle courses, surfing challenges, and more!